So you know how I said I was going to Vlog some of Norway, and how I had this whole thing I had planned out well it didn't happen. To be brutally honest, I didn't want to, yes I took photos but my whole reason of going there was to spend time with my best friend before we parted and I would know when I'd next see her was and I still don't. But it was bitter sweet, I just felt like I would rather cherish the time I spent with her than just constantly film or be focused on other things. So that's my reasoning not much of one I know, but I am sorry! So your all wondering what is the meaning behind it and where it is. 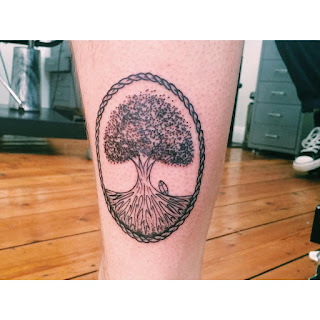 So basically its on the back of my right calf but slightly lowered nearer to my ankle. 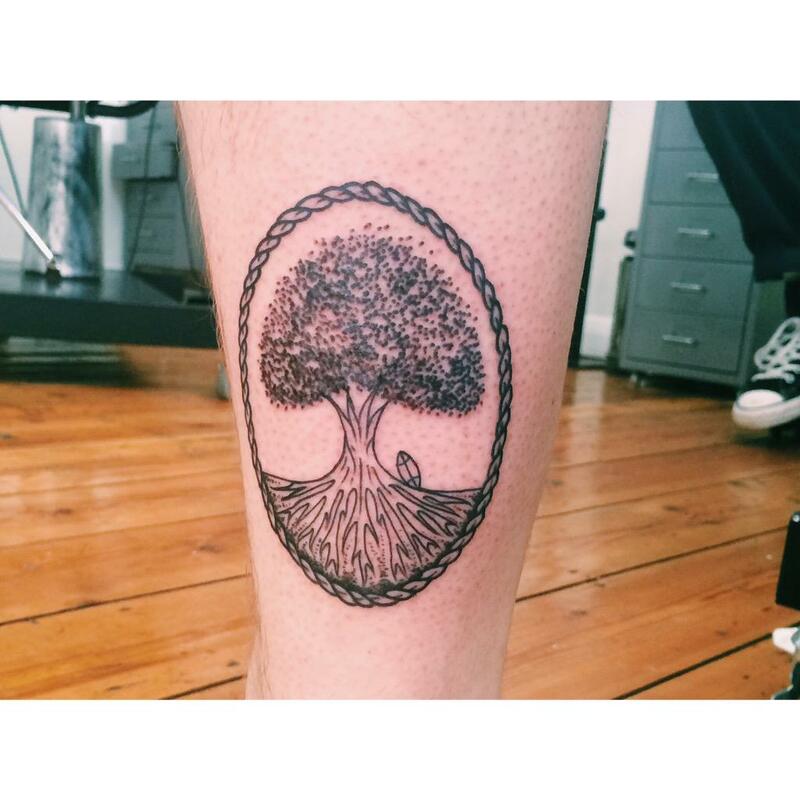 The meaning behind the tree is Family and Growth, to keep flourishing as a person and but always knowing my family is there. The rugby ball beside the tree is in Memory of my little brother's father, who you could call was my Step-Dad and the reason it is a rugby ball is because some of the best memories I shared with him was watching the rugby at either the pub or at home, plus it was his favourite sport. So that's it for this blog post, but I will be back very soon! P.S - YAY FOR THE USA APPROVING MARRIAGE EQUALITY IN ALL STATES!!! !